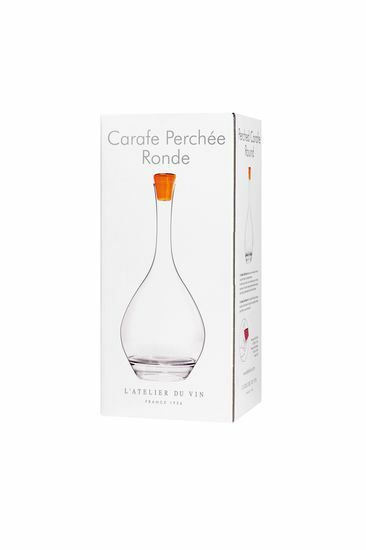 The Perched Carafe makes your wine the guest of honour at your table, raised on a transparent podium. 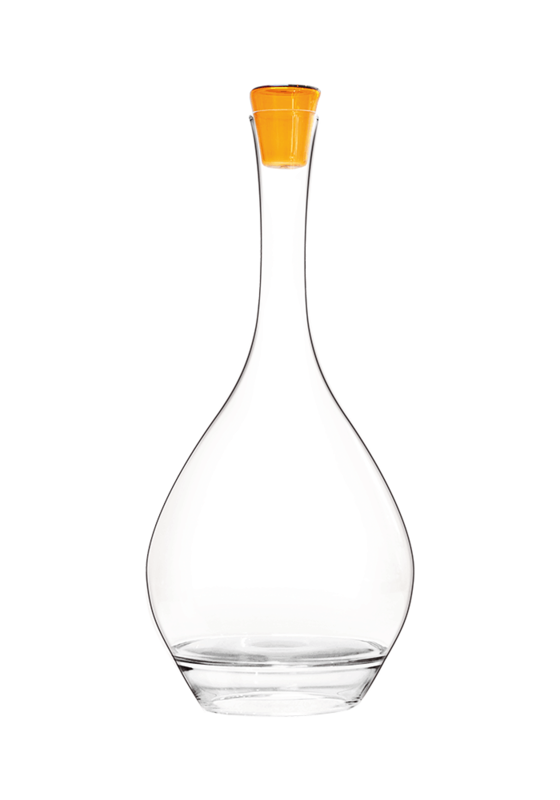 Its hollow base also allows a safe and elegant grip and makes serving easy. Its blue glass stopper guarantees protection against dust and odours. Recommended for all red and white wines. 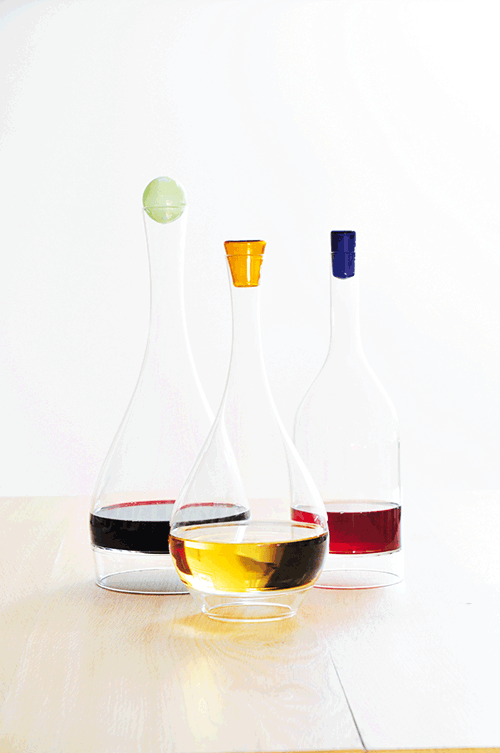 Blown and hand made in Europe, from top-quality, lead-free glass. Each item is unique. H 32.5cm x Diam. 15cm. Capacity: 75cl. Golden yellow Stopper: H 4.5cm x Diam. 3.8cm.